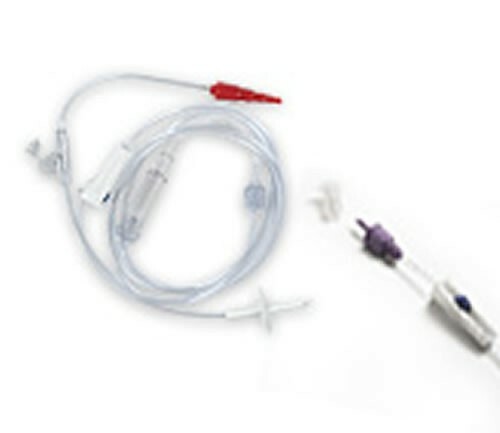 The COMPAT pump set with the in line "Y" Adapter. It is easy to use - simply disconnect "Y" adapter cap and insert syringe for flushing. 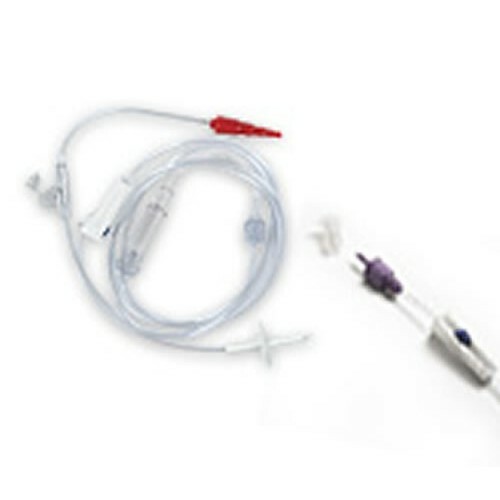 The in line "Y" saves time - no need to disconnect set from the feeding tube when flushing medications, water and bolus feeding. 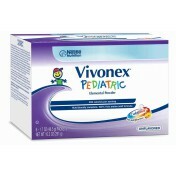 DEHP and latex free. Ready to use. Single use only. The COMPAT BAGGLE pump set is a top-filled, semi-rigid container with a preattached delivery set. The 58mm top-fill opening minimizes spills and waste. The sure-grip, semi-rigid container is shaped for convenient filling and hanging with easy view graduations for accurate readings. Note: * All COMPAT enteral administration sets have 30 units/case and have a non I.V. compatible dispensing connector. 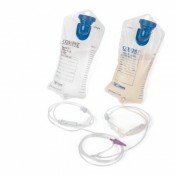 + All 300 and 500 series COMPAT administration pump sets can be used with COMPAT 199235 and 199245 Enteral Pumps.